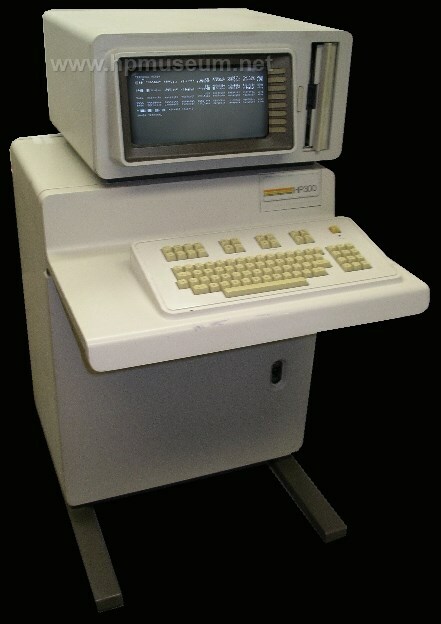 The HP 300 was an integrated multi-user computer that supported up to 16 attached terminals. The all-in-one box included processing hardware, a 12 MB hard disc, an eight inch floppy disc drive and a built-in 5 x 10 inch display with keyboard. The 300 ran an operating system called Amigo/300. 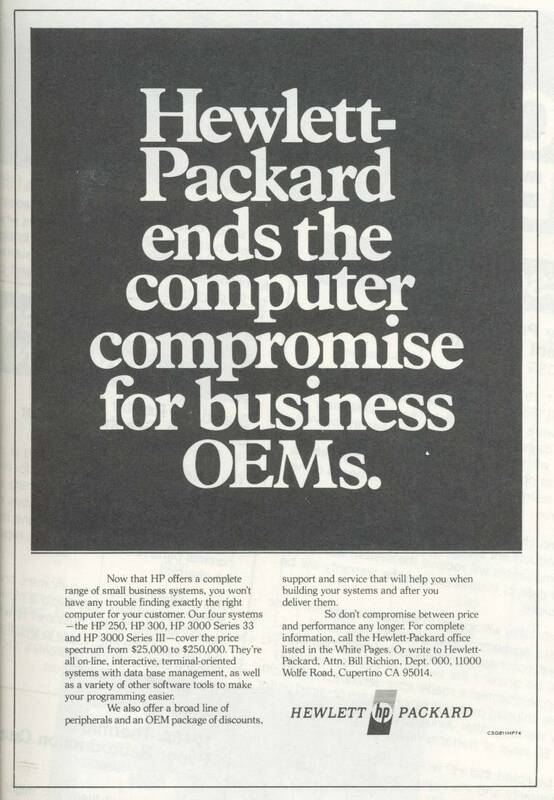 It was the only HP computer to run this operating system. 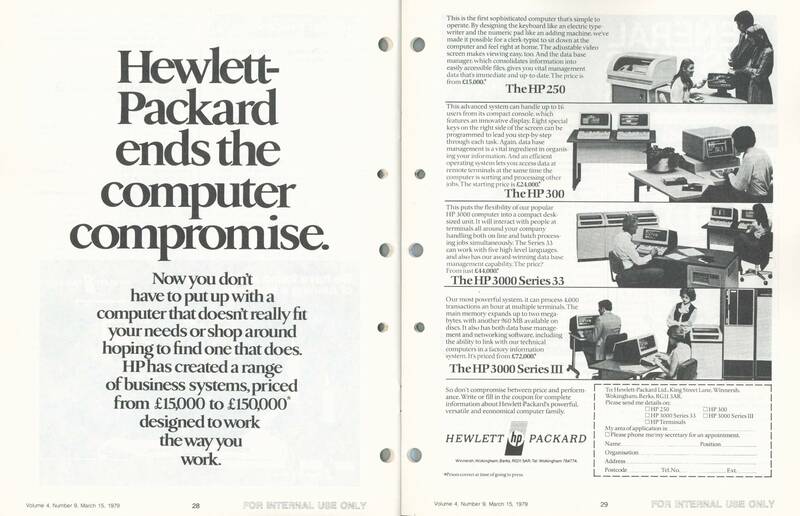 The CPU incorporated the same CMOS/SOS (complementary metal oxide/silicon-on-sapphire) technology that was used in the HP 3000 Series 33. The 300 connected to peripherals via an HP-IB interface. The 300 took five years and a lot of R&D effort to develop. It was intended to be an easy-to-use and easy-to-maintain small business system (servicing customers below the HP 3000 range). 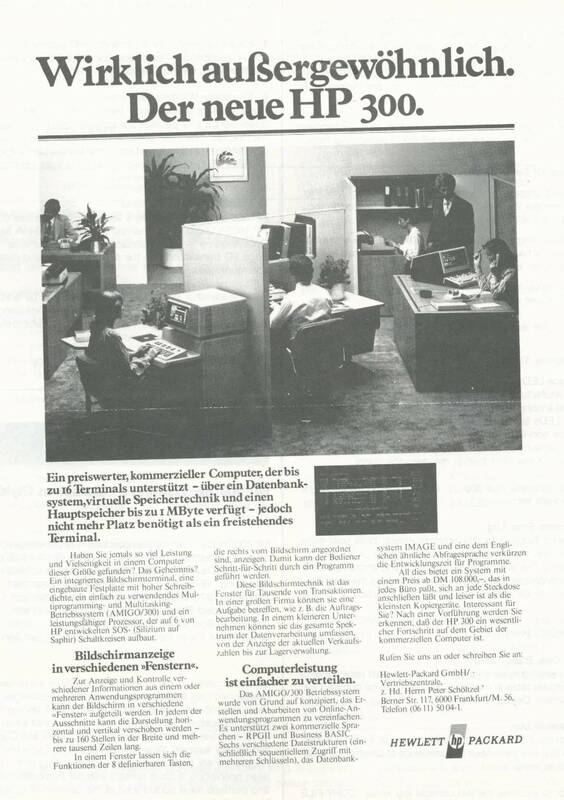 Originally, HP expected the AMIGO operating system of the 300 to have a twenty year life. Although it was announced in October of 1978, the 300 was not released for manufacturing until April of 1979 (after six months of heavy promotion). The 300 did not succeed in the marketplace. The computer was very slow and did not offer a simple process for data back up. Customer satisfaction issues required many to be replaced by 3000 Series 33 machines. The 300 generated less than $15 million in revenue during its entire five year life. The 300 did, however, win the best in show award at the 1978 Chicago Pack Expo, the annual trade show of the Society of Packaging and Handling Engineers. To be fair, the 300 is a very easy product to access and to move around. Its original freight packing was excellent. The 300 was obsoleted in September of 1983. HP 300 AMIGO computers are extremely rare. 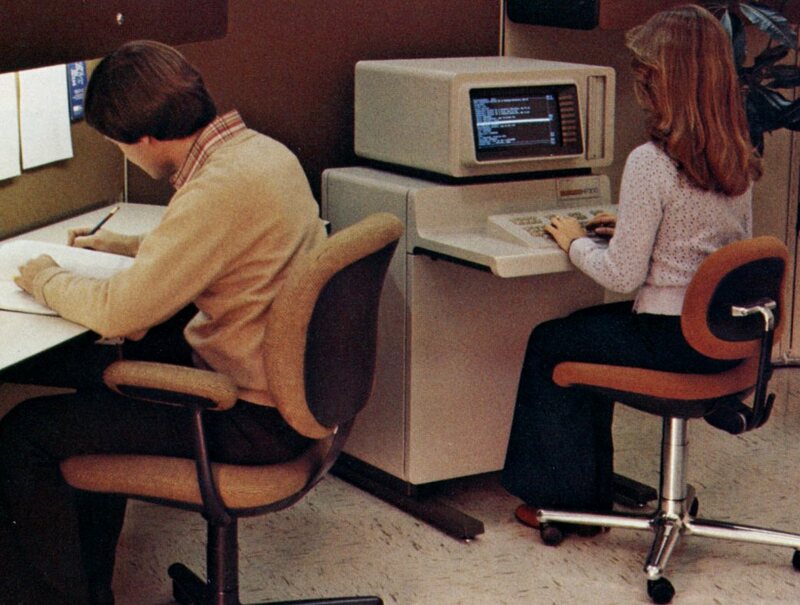 These computers often appered in the background of photos in Measure Magazine in the late 1970s and the early 1980s, but most have long since vanished. The museum is not aware of any working models in existence. Documentation for the 300 is also very rare. Please contact us if you know where any of this material might be found.